Well, my friends, this table may look familiar. Back in March, I introduced you to this curvaceous curbside find. I've lived with the table in our living room for a few months but in all honesty, I'm not 100% happy with the makeover. In fact, I'm not even 50% happy with it but more about that later in this post. 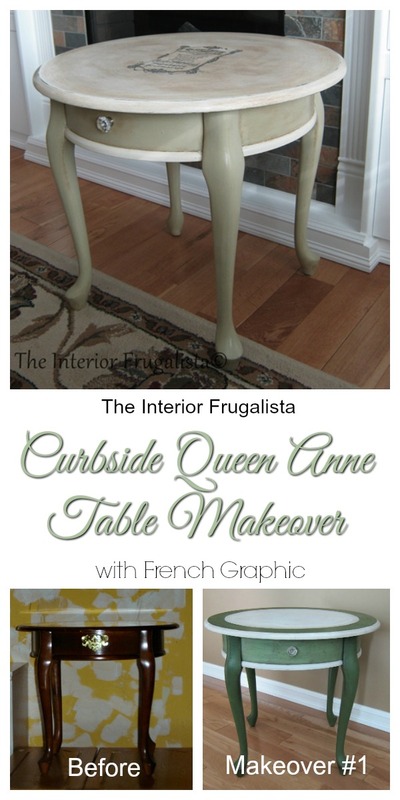 Back onto the workshop table for the second makeover except for this time the Queen Anne Table went from curb to oh Français. To refresh your memory, this is what the table looked like when I found it at the end of my neighbor's driveway with a sign that read "Take Me". Back to the workshop it went and this time the plan is to put the table in our guest bedroom but first I need to find the perfect French graphic for a boudoir. 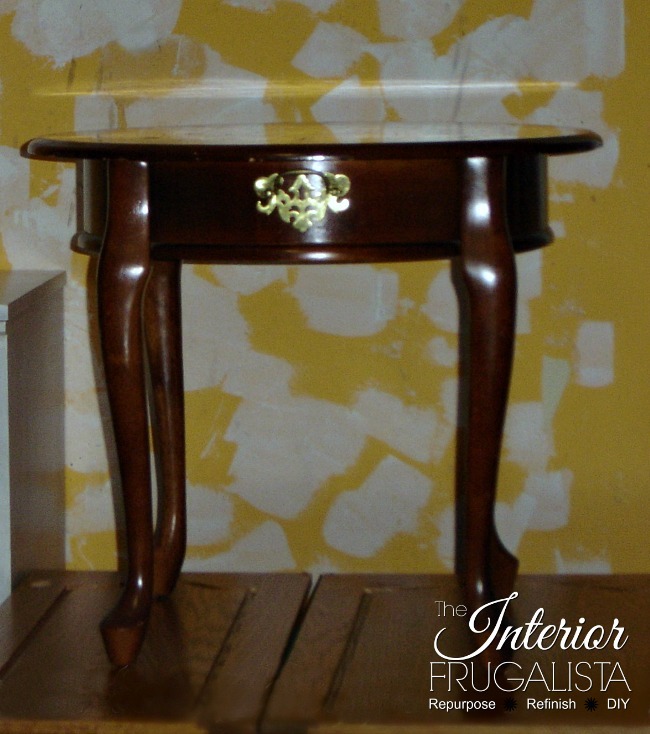 Last time I painted the table with milk paint. 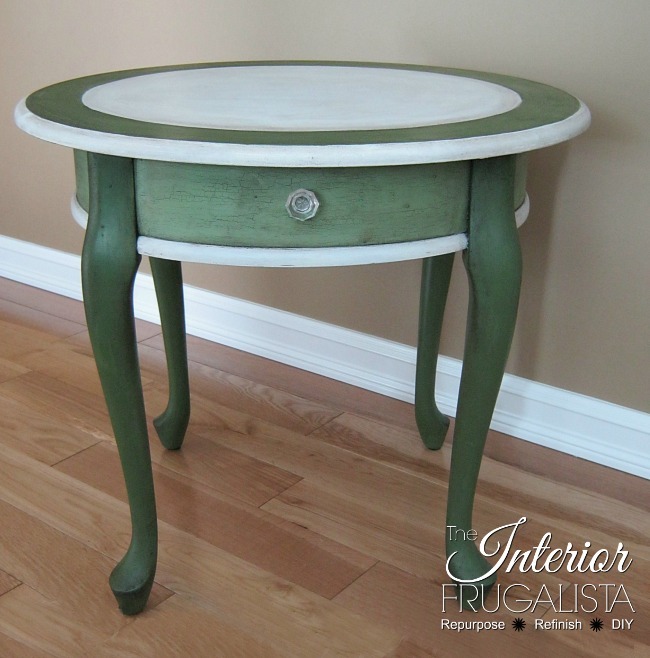 While still keeping the table in green and white, this time I'm using chalk paint from the Annie Sloan Chalk Paint line. The legs and apron are painted in the color Versailles, more of a sage green. 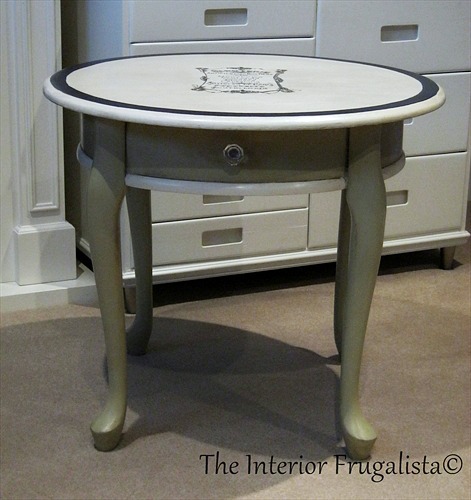 The band around the bottom of the skirt and the table top are painted in the color Old White. The band of paint along the top edge have now been painted in the color Graphite. 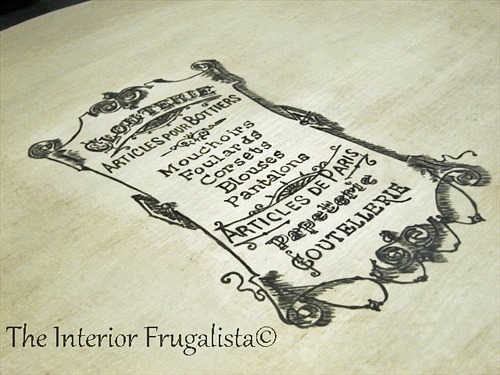 My search on the Graphics Fairy Website led me to this Pretty French Label Graphic, perfect for a table going into a bedroom. I used my favorite image transfer technique which is printing the graphic and slipping a piece of carbon paper behind it and tracing it with a pen. Using the same Graphite chalk paint and a script liner art brush, I hand painted over the transferred graphic. I'm not going to lie, this took some time and a lot of patience but I quite enjoy the process and find it very relaxing. I kept the same glass knob from the original makeover. I am definitely much happier with this makeover. It's just paint and so never be afraid to start over if you're not happy with the results. 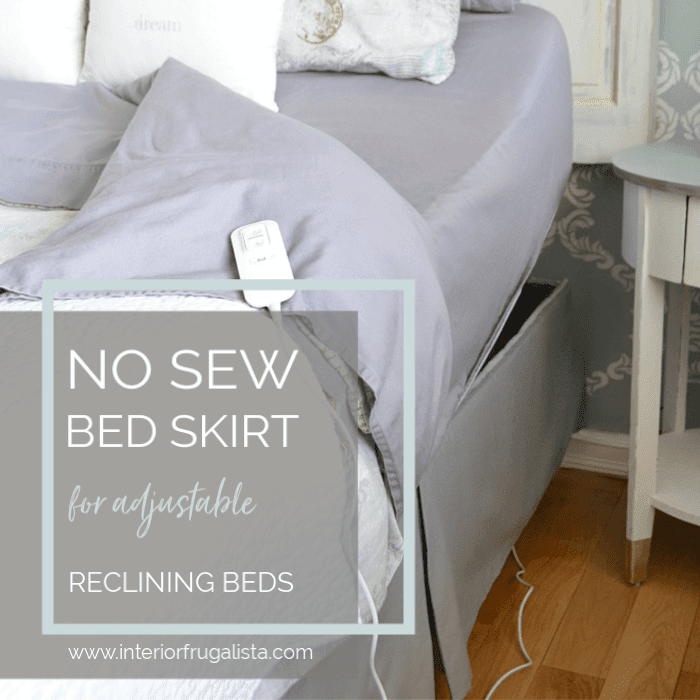 Thankfully chalk paint makes this very easy because it requires little to no prep work. The table didn't last long in our guest bedroom. 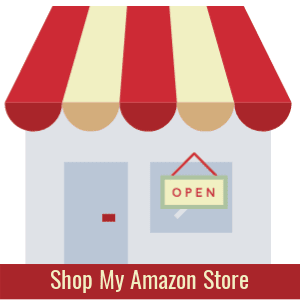 As my Mom's Alzheimer's disease progresses, it has become unsafe for her to stay in an assisted living unit. Recently we made the difficult decision to move her into the secured dementia unit at the same facility. Thankfully her new suite is a private room where she could take most of her furniture and belongings. Unfortunately, the suite looks rather institutional and so to add some personality, I gave her this table for her sitting area. 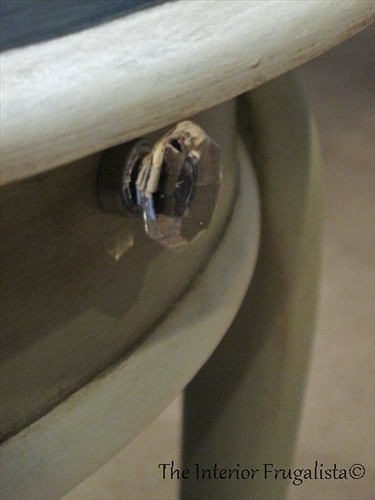 The table was receiving a lot of abuse and at one point the pretty glass knob was walloped off and so it came back home with me. It was then that I decided to give the table a third makeover and I couldn't be more happy with the results. 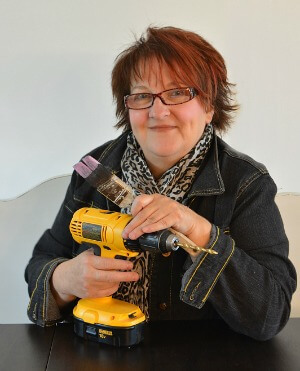 You can catch the final makeover here at Queen Anne Vintage Clock Face Table.